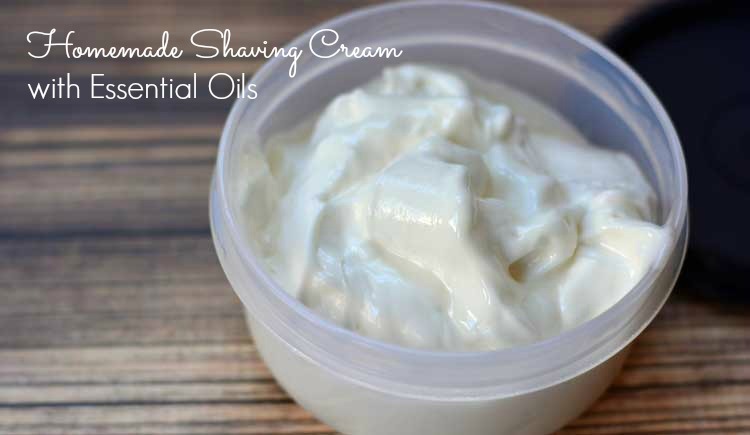 Homemade shaving cream with essential oils is quick and easy to make with coconut oil, shea butter, and another oil. Add essential oils to personalize your shaving cream scent! 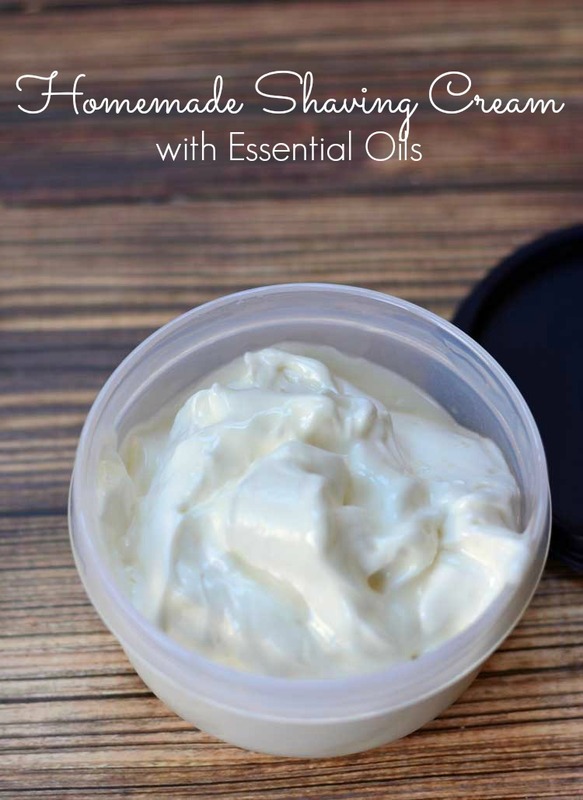 I've been wanting to make homemade shaving cream with essential oils for my husband to use for a while. And thanks to my homemade lip balm making, I had all the ingredients to try out shaving cream. The ingredients are pretty simple. The only one you may not have in your pantry is shea butter. You need coconut oil and shea butter, but the second oil can be any you choose. I used sunflower oil because I had it on hand to use washing my face. Avocado oil or even olive oil will work – just don't use a cooking oil like vegetable or canola oil. Melt all the ingredients together in a small pan on low. 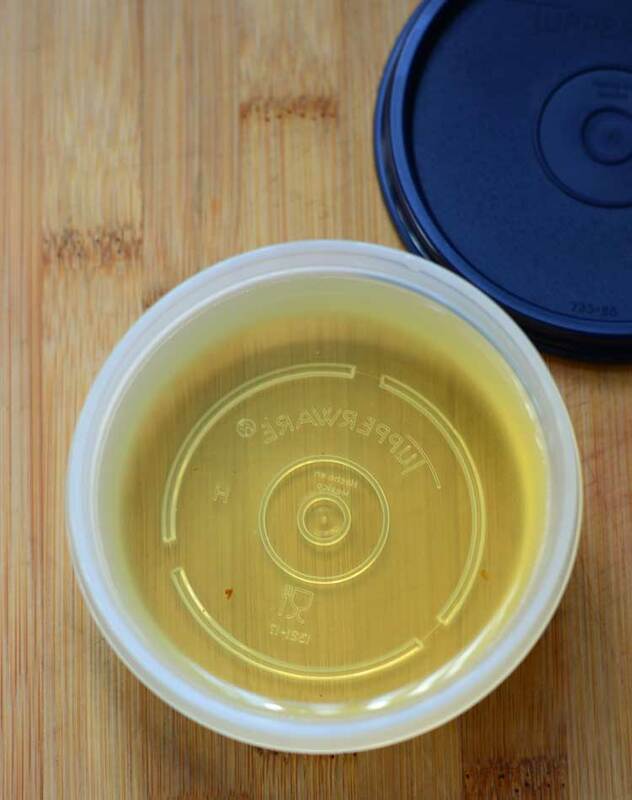 Remove the pan from heat and add your essential oils. I used 1 drop of lavender. I used a toothpick to put just a dab of peppermint oil in. Peppermint is a “hot” oil and too much can cause a burning sensation. Mix the oils in. Next pour the mixture in to a small heat proof container. I wasn't exactly sure how much this recipe would make, but it fit well in to a 1 cup container. I put the lid on it and popped it in the fridge. I'd say it needs about 4 hours to solidify. Once the mixture is solid, pop it out in to a large mixing bowl. It took a bit of prying to get it out but it finally popped out. Whip the mixture on high speed to add some air and get it nice and fluffy. This just takes a minute or two. I used my hand held mixer because I wasn't sure I wanted to clean up oils off my stand mixer. 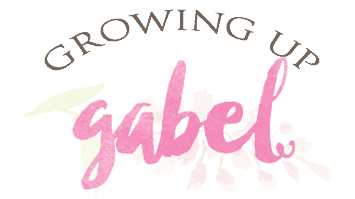 That's it – it's ready! I was a little worried about the shaving cream melting as it gets warmer, but we've had a few warm days and it's stayed whipped up in the container. 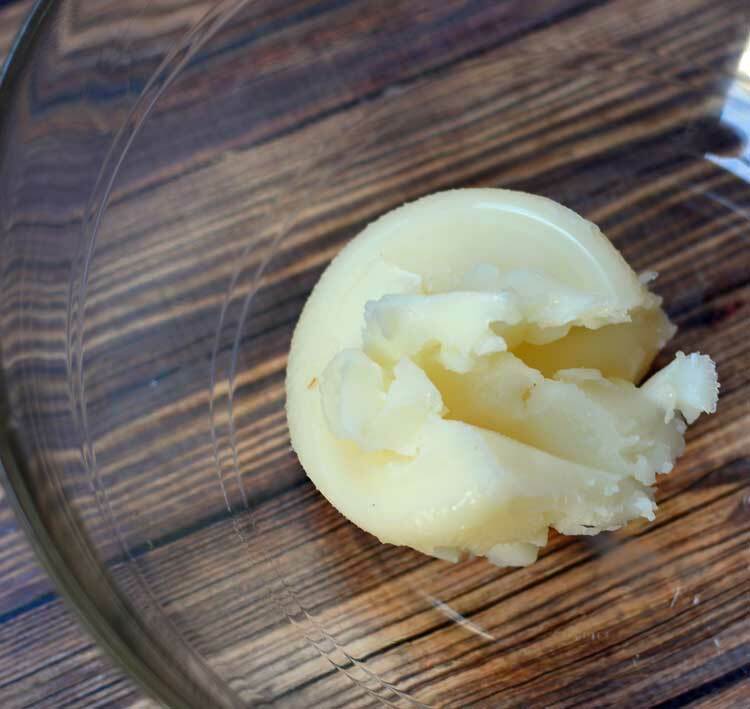 Melt together coconut oil, shea butter and your other oil in a small pot over medium low heat. Stir to help it combine and mix. Remove mixture from heat. Add in desired essential oils. You may want to use a toothpick to add trace amounts of "hot" oils like peppermint. Pour the melted mixture in to a 1 cup Tupperware container. Cover the container and refrigerate until hard. 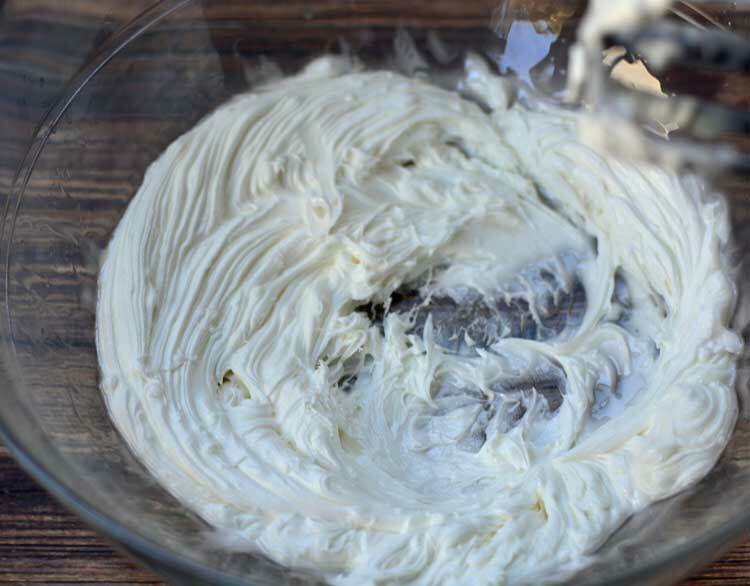 Place the hardened cream in a mixing bowl. Using an electric mixer to whip the cream. Start on low and increase to high speed to get some air in to cream. 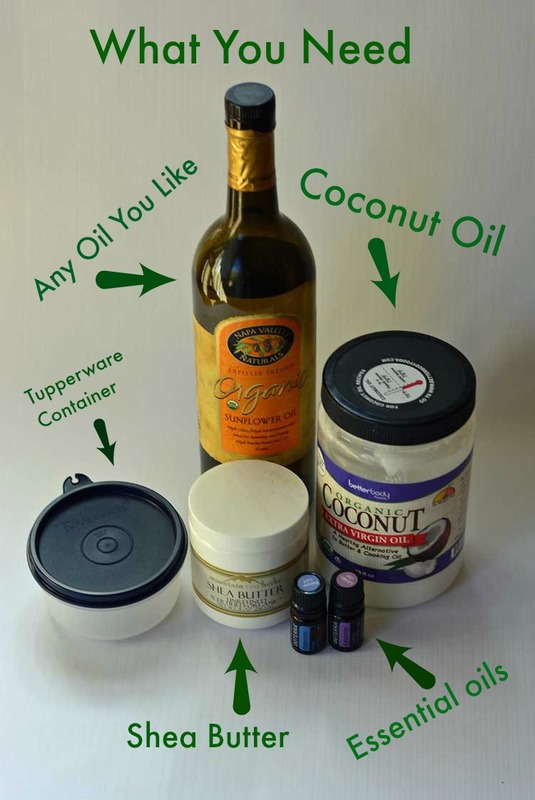 Return the whipped shaving cream to your Tupperware container. Seal and use! I agree! It’s quite cumbersome. You could try putting this in a pump. It’s quite soft so I think it actually would work in a pump. Just an advisory, this recipe is luscious. With that being said, it is more like a “shower lotion” rather than a shaving cream. Think of slathering yourself in lotion and then shaving the applicable locations. My skin feels wonderful, that I am not arguing, BUT it makes your shower slippery, use caution, and it doesn’t foam. My husband prefers a lather so I will be testing out another recipe, but I am keeping this recipe as an “in shower lotion” as it definitely helps dry, cold winter skin. Thanks for sharing! Thanks for the tips! I have never used it in the shower and I’m sure it does make it slippery! This looks great! What are the storage requirements and approximate storage length? I put it in an airtight container. It’s good for quite a while! We use it up pretty quickly. Happy Valentines Day! I love making our own beauty goods. This would be perfect for the Mr. Great info. Pinned for later & hope we get to make some. I love this!! 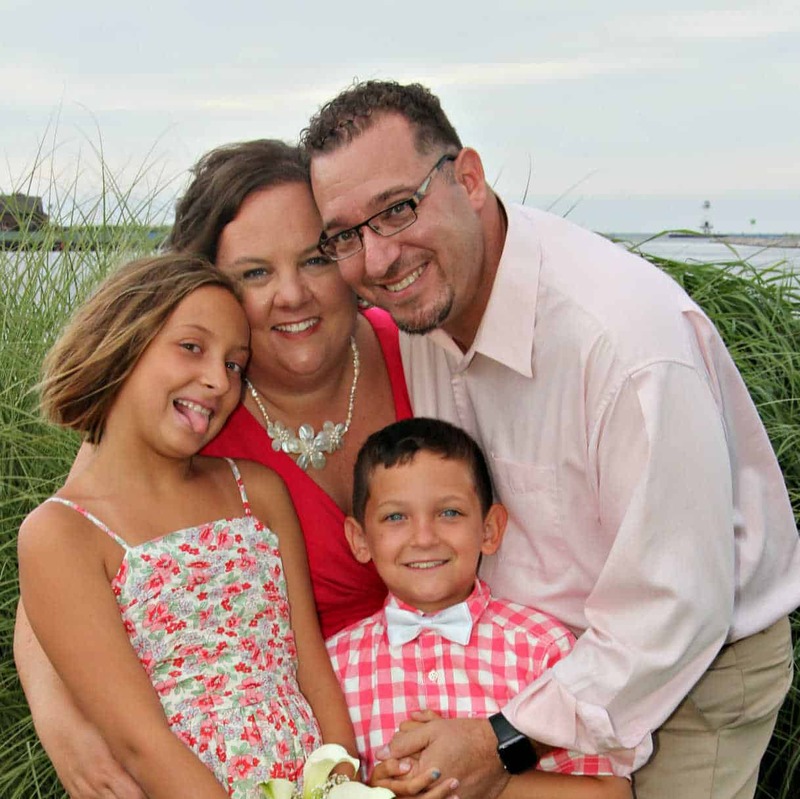 Thanks for linking it up to Motivation Monday! I can’t wait to try it! Love this! Essential oils are so neat! I love them!! Totally changed our life.